I had a chance to photo a family of six Whitethroats last week, with both parents feeding four young. It was great to see them out in the open. In West Penwith, the Whitethroat is the most common breeding warbler. The species breeds throughout Europe and across much of temperate western Asia. This small passerine is strongly migratory and winters in tropical Africa and Pakistan. 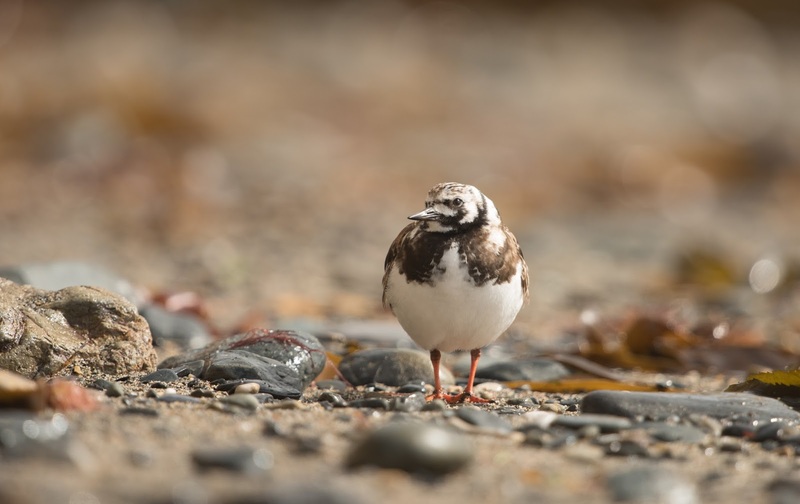 There was a maximum count of 18 Turnstones in Mounts Bay on Sunday. 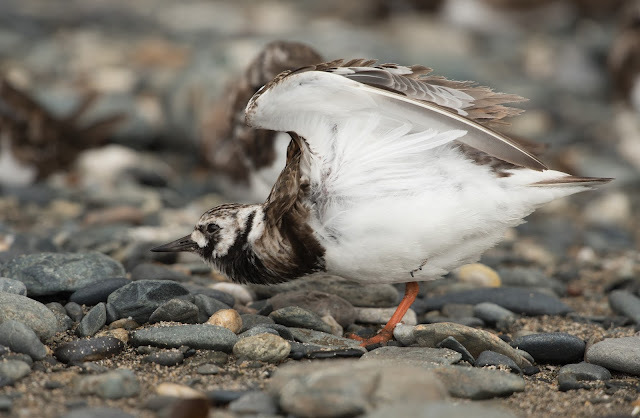 Given the date and the condition of the plumage, these birds are not quite full adult birds, ie second calendar year birds which have not migrated north to the Arctic to breed. Presumably they will stay in the area until next Spring. Of interest I also saw two Sanderlings in similar plumage but all the Purple Sandpipers have now moved on. June is traditionally a quieter time for birding. Spring migration is a distant memory and the breeding season is well under way. The month can be very good for rarities and non breeding sub-adult birds can often be found. One such spectacle in west Cornwall is the now annual Red Kite movement. This year followed the trend of the last ten years. During a ten day period from 25th May, reports came in thick and fast with high counts at Polgigga (57), Sancreed (50), Connor Downs (42), Camborne (25) and Hayle (23). Over 363 birds were reported from 47 locations. There were of course duplicate observations of the same birds, but still high numbers and of course, always a pleasure to see. The following day sightings were received from 57 locations and appeared to be more evenly spread across the county with over 375 individuals reported. 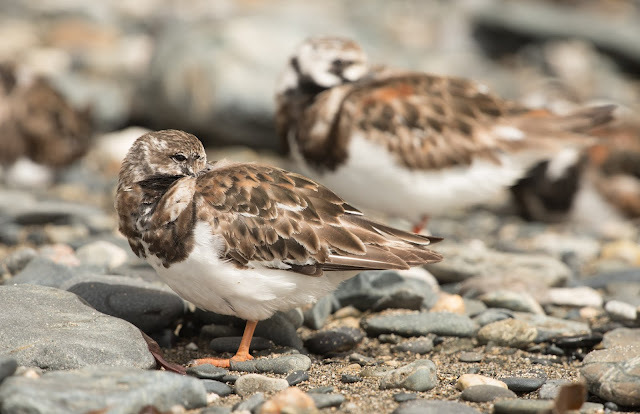 (per Cornwall-Birding). 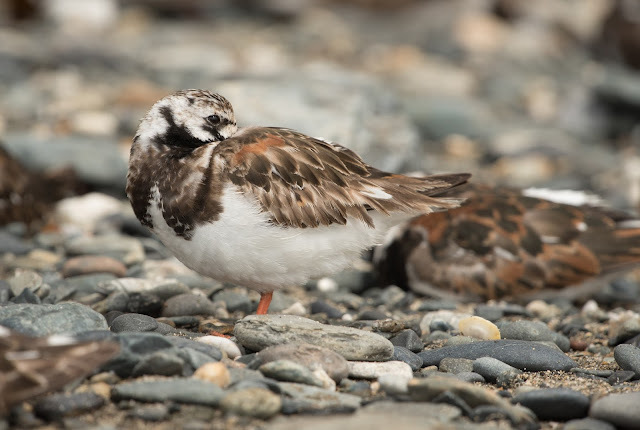 The general consensus is that these birds are 2nd and 3rd year birds not mature enough to breed, thus wandering from their natal breeding areas. Eventually funnelling down to west Cornwall, they congregate and feed in the ploughed fields of the far west. The vast majority are thought to be UK based birds. A colour wing tagged bird was identified last year and was raised in Gosforth. 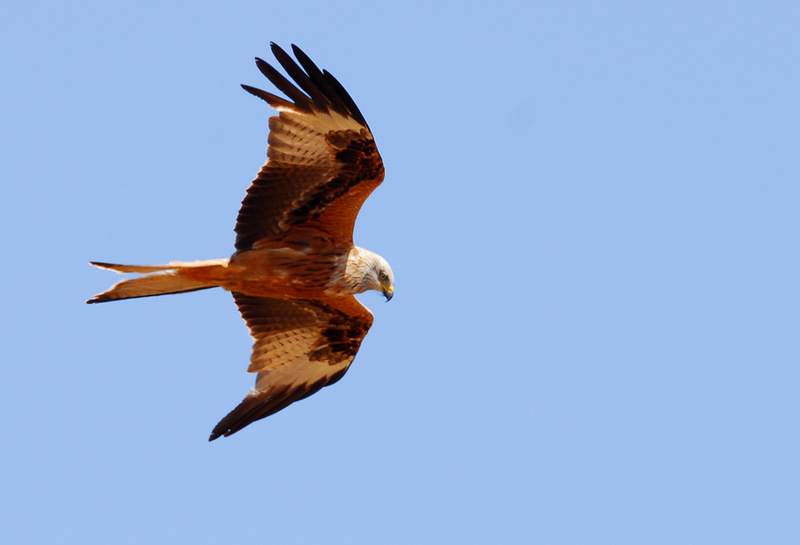 To date, no Red Kites (yet) breed in Cornwall. Staying with the raptor theme, Red-footed Falcons have been noted more-or-less daily from Nanjizal, The Lizard and the Hayle Kymbro area. Great White Egrets have been seen at Loe Pool and Stithians. This once rare species seems to be following its smaller relation and increasingly frequent. The species barely raises an eye brow compared to just five years ago. Looking forward, the sea watching season is fast approaching. Keen birders will be watching the weather closely and anticipating strong south westerly or westerly gales. Porthgwarra, Pendeen and St Ives will be the hotspots. The first Wilson's Petrel of the year has already been sighted off Scilly. Download your wind apps such as Magic Seaweed for more weather details.